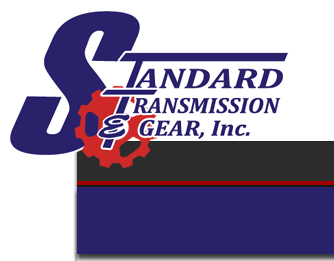 This is the web site of Standard Transmission & Gear, Inc..
By using the power and technology of the Internet, Standard Transmission & Gear, Inc. is able to exchange information with our customers and vendors in innovative, personalized and efficient ways. We rely on our customers to provide basic data, including mailing and email addresses and information needed to complete purchasing transactions. In addition, Standard Transmission & Gear, Inc. may provide online forums and surveys for customers and vendors to answer questions and encourage open dialog on topics relevant to our products and services. In order to maintain clear standards of privacy and security with the information we are provided, Standard Transmission & Gear, Inc. has established the following Principles of Privacy for our organization and customers. 2. Personal information, including the name and contact information for individual customers, is private to Standard Transmission & Gear, Inc..
4. Users may choose, at their sole discretion, to participate in online forums and surveys. Any personal or private information that such users choose to disclose in online forums and surveys is considered to be public information, and Standard Transmission & Gear, Inc. expressly disclaims all responsibility for its privacy or protection. 5. Users may choose, at their sole discretion, to sign up for our newsletters. We may be using one of the best newsletter services called MailChimp in the future. It allows us to track our ad campaigns and where to budget our dollars, but you can read about MailChimp's own privacy policies here http://mailchimp.com/legal/privacy Standard Transmission & Gear, Inc. does not sell or rent our subscribers' email addresses. A cookie is a small data file that certain Web sites write to your hard drive when you visit them. A cookie file can contain information such as a user ID that the site uses to track the pages you've visited. But the only personal information a cookie can contain is information you supply yourself. A cookie can't read data off your hard disk or read cookie files created by other sites. If you've set your browser to warn you before accepting cookies, you will receive the warning message with each cookie. Your browser needs to accept these cookies for the site to function properly. If for some reason you believe Standard Transmission & Gear, Inc. or its affiliates have not adhered to these principles, please notify us and we will use all reasonable efforts to determine and correct the problem promptly. Standard Transmission & Gear, Inc.'s website is designed to provide you with helpful information about Standard Transmission & Gear, Inc. - our company, our homes, communities, products, and services. This website is not intended to constitute an offer or solicitation and shall not be construed as an offer to sell real property. Standard Transmission & Gear, Inc. does not warrant or guarantee the accuracy, adequacy, quality and/or completeness of any information for any purpose. Standard Transmission & Gear, Inc., its agents or employees shall not be held liable to anyone for any errors, omissions or inaccuracies under any circumstances. The entire risk for utilizing the information contained on this site or linked to or from this site rests solely with the users of this site. The information on this website is the copyrighted work of Standard Transmission & Gear, Inc. and is protected in the United States and internationally by a variety of laws, including but not limited to U.S. and worldwide copyright laws and treaty provisions, trademark laws, and other proprietary rights laws. This means that you may not copy, reproduce, modify, republish, upload, post, transmit, or distribute the materials in any way without the express written permission from Standard Transmission & Gear, Inc.. Standard Transmission & Gear, Inc. grants you permission to access information on this website solely for your personal, informational, non-commercial use. The services, technology and/or processes in building this website are the subject of intellectual property rights reserved by Tri-Cities Web Solutions. Nothing contained herein shall be construed as conferring to you in any manner, whether by implication, estoppel or otherwise, any license, title or ownership of or to any intellectual property right of Tri-Cities Web Solutions. If you would like to receive further information about Standard Transmission & Gear, Inc., please email us. One of our service representatives will be happy to serve you. We look forward to hearing from you.